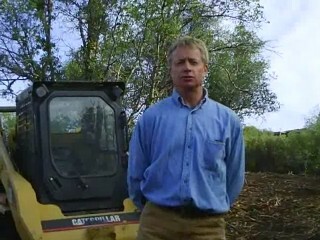 there no sawing or burning what was heavy brush became erosion control and soil additives. 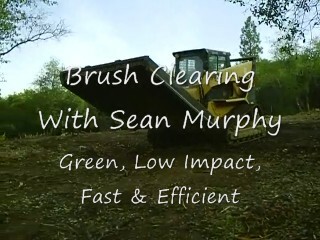 So if you need brush cleared for construction, 100 ft fire clearances or any reason give Mountain Earthworx a call. 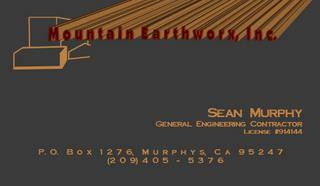 Sean Murphy is also a General Engineering Contractor that can handle almost anything you need done. 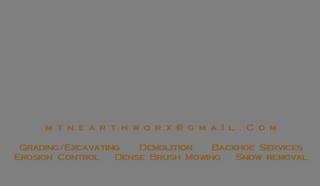 Grading Excavating, Demolition, Backhoe Services, Erosion Control, Snow Removal and more. Sean Murphy has many years of experience in large scale construction projects in all of our locally varied climates. Sean also has years of experience in areas of heavy snow loads including the Mammoth Lakes Area and also as Mountain Manager at Bear Valley where Sean was the driving force in the construction of the Polar Express Chair Lift. So from the foothills to the High Sierra if you need a project done by experienced hands Mountain Earthworx is the company to call at 209.405.5376. **If you are interested in having us come out and do a Video Commercial of Your Business please contact us! Glen Sanchez of Good Enterprises is Here to Help with Defensible Space!